You may or may not know that I still own an apartment in Washington, DC, where I lived for 8 years before moving to Paris in 2010. Since I haven’t really worked since 2009, maintaining a mortgage on that piece of prime real estate no longer made any sense and I put it on the market a few months ago. 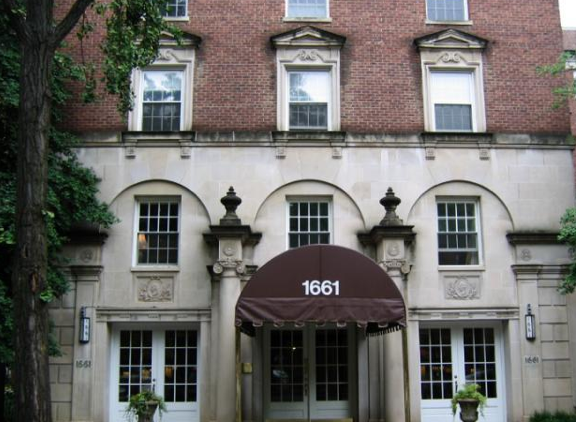 (Incidentally, if you’re looking for a beautiful, 1100-sq.-ft., 1927-build, Beaux-Arts apartment in Adams Morgan, send me a message and I’ll put you in touch with my broker!) What that decision meant was that I needed to move a LOT of furniture and personal effects out of the place, so Michel and I planned a three-day excursion to DC right after Christmas to load up what was left of my stuff and move it back to my parents’ place in South Carolina. That couldn’t possibly be TOO difficult, right? Serendipitously, my friends Scott and Paul were going to be in Washington at the same time during a stay over before their flight back to London, and Scott graciously offered their assistance with loading the U-Haul. I was grateful, of course, because I had been obsessing over how much stuff was in the apartment and how Michel and I would handle all of it ourselves. To thank them, I offered to treat Scott and Paul to whatever fine dinner they might be craving once we’d finished up the work. It wouldn’t take too long, I thought. After all, many hands make for light work! First of all, the sofa in question is simply very heavy and quite unwieldy. It’s a Mitchell Gold, so it has really solid construction, and it has this mid-century, low-profile design, which just means that while it’s not tall, it is long and deep … and that would be the reason why we couldn’t get it into the freight elevator. DUM, DUM, DUM, DUM, DUM! So there we were, standing in the middle of the hallway with a sofa wobbling back and forth on a furniture dolly and no discernible way to get it out of the building. It’s a lot heavier than it looks! Trust me! To make a very long, very heavy story a bit shorter and lighter, we managed it … along with yet another sofa, an armoire, two dressers, a coffee table, a kitchen table and four chairs, a living room chair that’s a lot heavier than it looks, and so many boxes of books, we couldn’t count them. The “baby” Bowflex stayed in the storage unit for disposal at a later date. (Which reminds me, if you’re interested in one of those, let me know and we’ll talk!) Scott and Paul were so hot, sweaty, and exhausted by the time the truck was loaded that they decided not to take us up on that dinner offer … or maybe it was because we were so hot and sweaty? In any case, we’re truly grateful for your help, Scott and Paul, and we’ll eventually catch up with you on this side of the Pond for that thank you dinner! 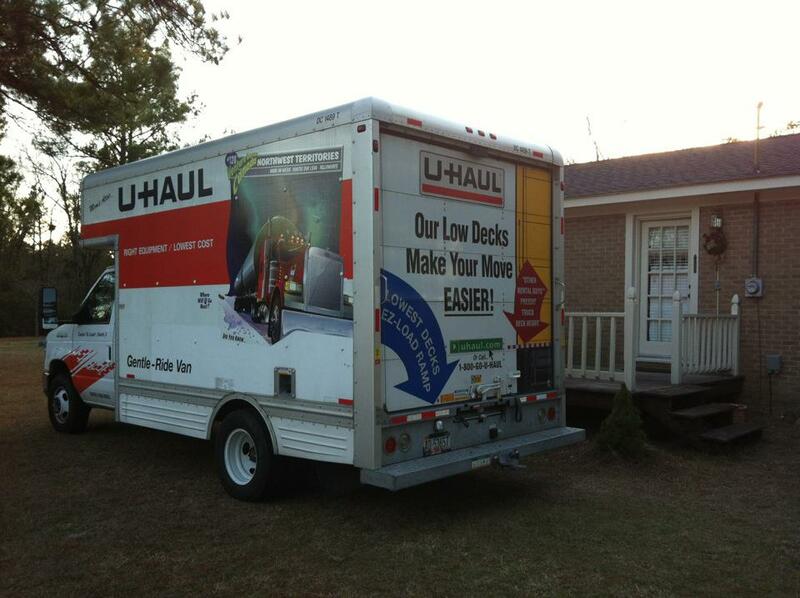 Finally, at about 5 pm, we rolled into the yard at my parents’ house in Bishopville, exhausted but ready to unload as much of that furniture as possible. 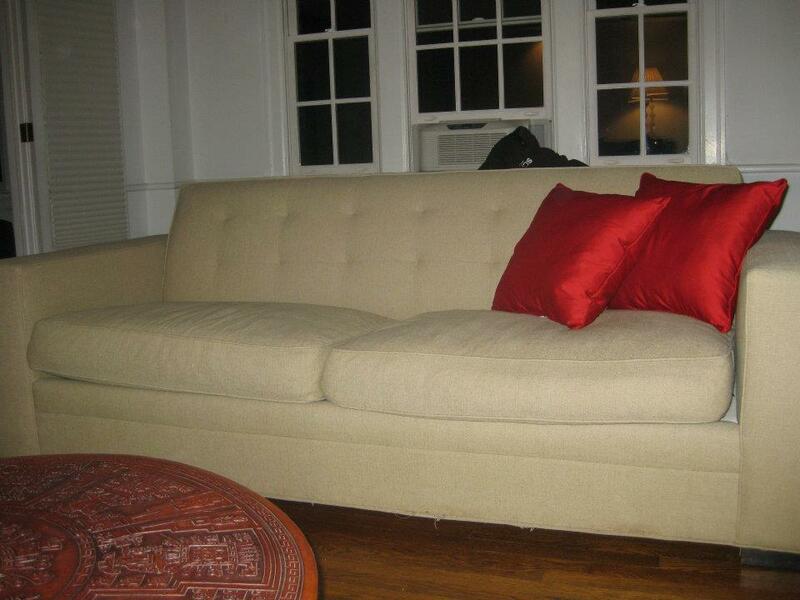 Boxes of books were unloaded onto the deck, boxes of glass went inside, and then it came time for the sofa … the infamous sofa … the one that had to descend the stairwell in DC … the one that couldn’t get through the door at my parents’ house! I really should have taken a photo that evening to capture for posterity my Mitchell Gold sitting outside on the patio covered in a tarp. Oh well, I’ll just leave it to your imagination. 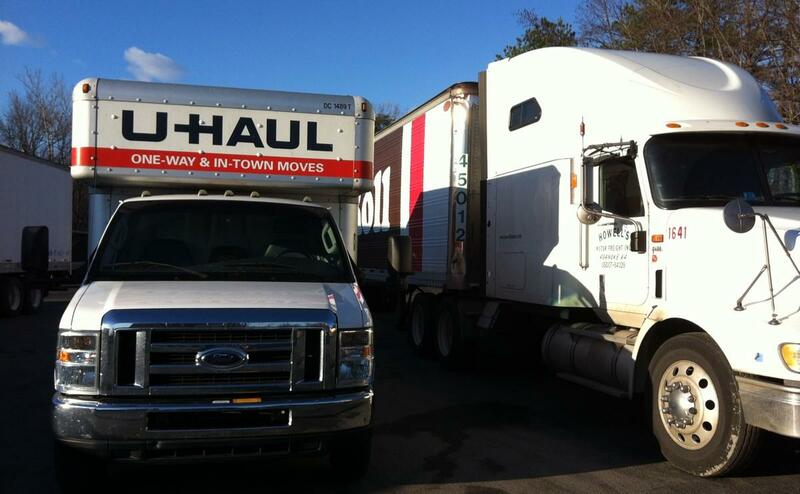 After that, we decided to move the armoire … the 500-lb. 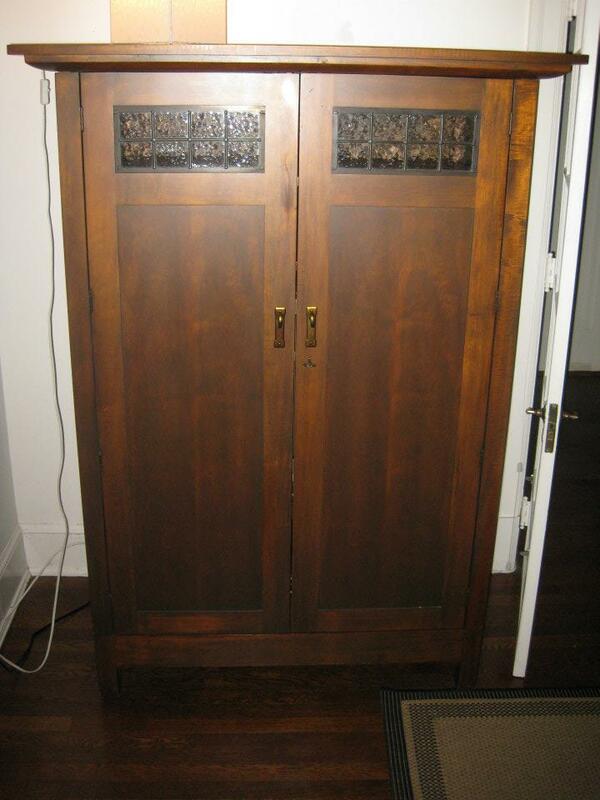 armoire. Now, back in DC, the armoire was fairly easy to move: we tilted it back, slipped the dolly underneath, rolled the dolly into the freight elevator, rolled it out to the loading dock, and shifted it into the cargo space of the truck. At my parents’ house, though, there was no loading dock and the bed of the truck’s cargo space was three feet off the ground. Maybe we could put it on the dolly and roll it down the loading ramp? That seemed like a good idea until we realized that the incline of the ramp, coupled with the top-heaviness of the armoire would mean that it would probably tumble over and crush somebody on its way down the ramp. I was ready—once again—to turn my furniture into firewood, but my mom interceded and said she’d call a local furniture store the next morning. Surely someone could come help us or at least rent us a handtruck. (Of course, I had lacked the foresight to rent one of those back in DC.) We emptied the rest of the truck and decided to eat dinner and put the armoire out of our minds for the rest of the evening. Again, it’s a lot heavier than it looks! Hire movers or, in the alternative, furnish your home with only lightweight furniture from IKEA. Your back will thank you.